In the academic year 2015-16, 63,016 students were enrolled by the University of Central Florida in USA, the largest among American universities. Religious groups are credited with building the earliest universities in the US. The institutions were built to train religious ministers. Harvard University in Massachusetts was the first University to be established in the United States in 1636. The Institution was modeled after Cambridge and Oxford universities in England. Today, the country hosts a large number of univesities, some of which are famous across the world for offering high standards of education. As of the most recent 2015-16 data, the largest universities in the US in terms of undergraduate admissions are University of Central Florida, Texas A&M University, Ohio state University, Florida International University and, the University of Florida. Founded in 1963, the University Of Central Florida was initially known as the Florida Technological University. The then US President, John F. Kennedy, set a target of making a human spaceflight to the moon. Florida is near Cape Canaveral where space launches are done, and therefore it was the ideal place to set up the institution. The University brags of having been named an exemplary green institution in 2010. It also has the largest students intake with a total enrolment at 63,0016 students in 2015. UCF has eleven campuses in Florida and many others outside the state. It has also partnered with local universities like Valencia College in a program called Direct Connect in which students and alumni of these local colleges are assured of getting an admission to the UCF. Notable alumni in UCF include Daniel Tosh, Cheryl Hines, Eduardo Sanchez, Kelvin Beary, Robert Damron, and Ericka Dunlap. Texas A&M was established in 1862 by an act of Congress. It was initially known as Texas Agricultural and Mechanical University hence the abbreviation A&M. Initially, the university only taught literature, engineering, and languages but not agriculture. However, A&M expanded its academic role in 1963 to become a coeducational research institution. TAMU has majored in the agricultural sector, mechanics and later military science. In 2015, it recorded a student enrollment of 58,515. The school has twelve campuses with Dwight Look College of Engineering (1880) being the oldest and School of Law (2013) being the most recent with an overall net worth estimation at $11 billion USD. Beckman (2010) notes that the school widely known for its research expeditions having submitted 121 new inventions in 2004 and 2013 ranked third in top university research expenditure. The university has over 500 ongoing research expeditions in eighty countries across all continents. Major research works by the school include building the largest optical telescope in Chile and the conversion of a nuclear research reactor to use low energy enriched uranium. The school was founded in 1870 and is located in Columbus. It has an enrollment of 64,868 students and has an estimated net worth of $3.634 USD.OSU has invested heavily in research and has facilities such as Chadwick Arboretum, Biomedical Research tower, Aeronautical Research Laboratory and Byrd Research Laboratory. Academic Ranking of World Universities ranked OSU 79th worldwide. 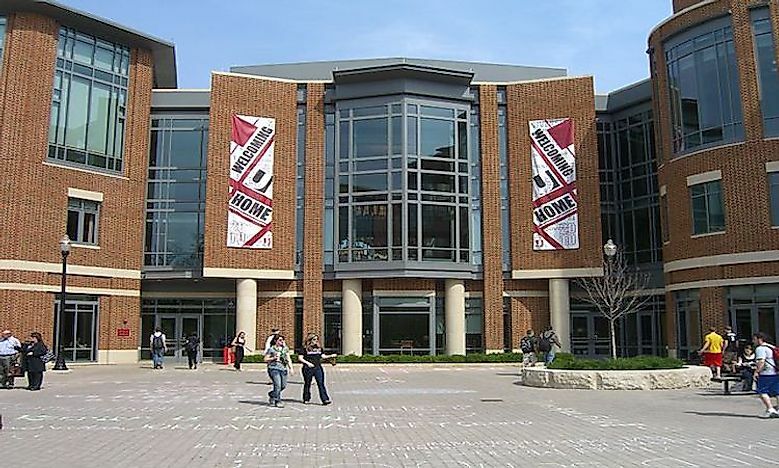 Notable alumni of OSU include Wikipedia co-founder, Larry Sanger, and George Steinbrenner. Located in Miami, the FIU ranks 4th among the largest universities in the US. It has an enrollment of 54,058 students. It was established in 1965 after a bill introduced in the Senate instructed the board of education to develop a university in Miami. In 2010, FIU College of Law was ranked among the top ten Best value schools. The school has two campuses, University Park being the main campus and Biscayne Bay as the regional campus. Notable facilities include; Stempel Complex, Stocker Agriscience Center, and Stempel Medical Centre. The university has the only university-based research facility in the US for alleviating the damage of storms. The International Hurricane Research Centre. Notable alumni are; Mike Lowell, Andy Garcia, and Denis Lehane. Formerly known as the University of the State of Florida, UF was established in 1853 and has a population of 52,519 students. It is ranked eighth in the Global University Ranking in the field of Agricultural Sciences. The school has16 colleges with Graham Center for Public service being the newest.The University is one of the greatest research institutes in the world having contributed to the creation of over 100,00 jobs in the fiscal year 2009-2010.Research programs from this university have led to the emergence of over fifty biotechnology companies. Great alumni from the school are; Marco Rubio, Kevin Ford, Carol Browner and Bob Graham.